But Carnival Cruise Lines has now come up with a cruise industry first to be sure passengers get the best shore excursions possible. Carnival just announced a guarantee that guests who book a Carnival shore excursion and find a comparable tour at a lower price will receive an onboard credit of 110 percent of the difference. “Many of our repeat guests who have booked Carnival shore tours previously are already knowledgeable on the outstanding value our tours provide,” said Mico Cascais, vice president of tour operations for Carnival Cruise Lines. I’ve long known that the shore excursions offered by a cruise company are the best way to go. The excursions have to be well organized, reasonably priced, safe and interesting or the cruise line would not keep offering them. Stick with the cruise company excursions. They offer the best protection and now the best price. 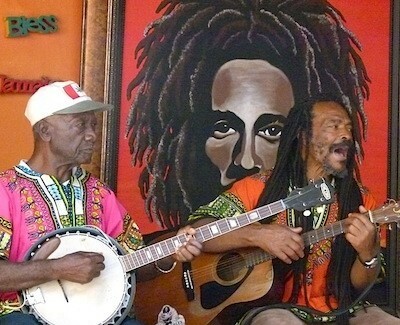 I was very pleased with my Bob Marley tour when the Carnival Breeze docked in Jamaica. But I don’t think I would have wanted to take the tour with any company other than the one backed by the Carnival company. Of course, with Carnival’s new excursion protection plan, cruisers are guaranteed to get the best deal from a Carnival excursion. Sounds like a great program. Guests who book their excursion through Carnival enjoy the convenience of having shore excursion tickets delivered to their stateroom, 24/7 access to shipboard staff to answer questions and obtain assistance, and an assurance that they will receive a refund or the excursion time will be adjusted as needed based on weather or other issues affecting a ship’s scheduled port of call visit. I heard a faint gasp during my Carnival Magic orientation meeting in December when Magic Cruise Director James Dunn told cruisers what would happen if they booked a shore excursion not offered by Carnival and didn’t return to the ship in time for its sailing. Of course, that is no problem when you book a shore excursion with Carnival. I’ve never been late getting back to the ship on a ship-arranged tour excursion. But if something were to happen with a Carnival tour, Dunn said, the ship would wait. Ongoing communication between tour operators and shipboard staff ensures that the cruise line is aware and can make necessary changes to a ship’s departure time when a tour is running late or unexpected circumstances arise, Dunn said.